And we’re off! ASQ’s World Conference on Quality Improvement 2014 kicked off today in Dallas, Texas. If there’s one trend that’s obvious so far, it’s making connections. Connections between ideas; connections between people. 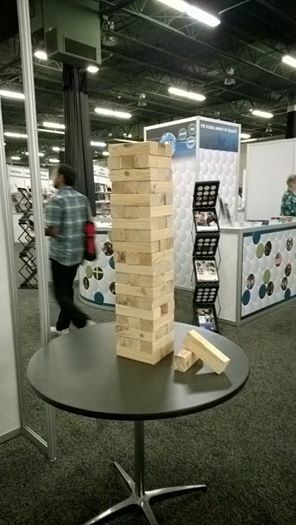 This year’s conference has a strong focus on networking, and what’s a more fun way to network than to literally “build connections” through Legos and Jenga in the exhibit hall? This was just one of the fun icebreakers at the opening reception–and the games will be available throughout the conference. 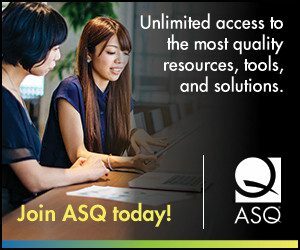 In addition, conference goers are encouraged to start a “meetup” in the ASQ Center on any topic of interest (look for the sign up boards in the Center). -Welcome and opening keynote by Erik Wahl, a graffiti artist, among many other things. -Afternoon keynote by Robert Pence, president and CEO, Freese and Nichols, Inc.
-Quality impact sessions and live team case studies. -“After 5” sessions, featuring the lighter side of quality. -A photo booth offering professional portraits, ASQ Center, 10 a.m.-4 p.m.